There are not a lot of good things going on in Mexico these days; however, not so long ago, that wasn’t necessarily the case. 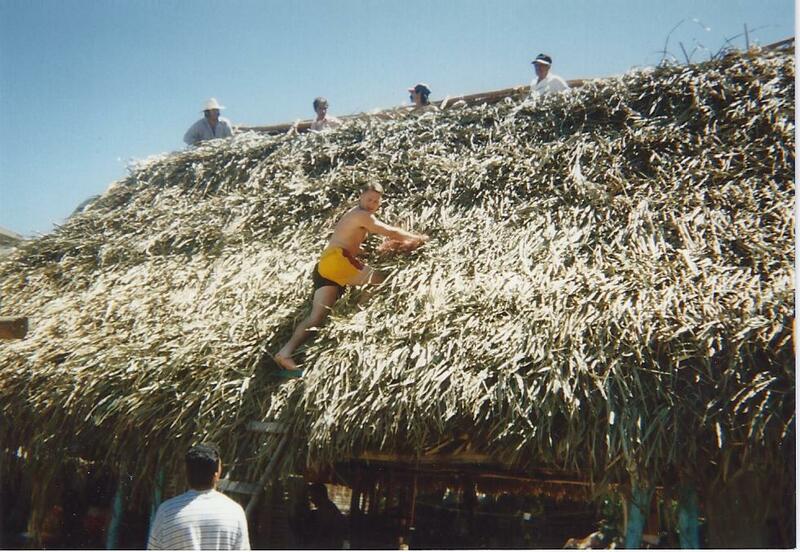 One of my fondest memories of Mexico comes from a Spring Break trip we took while at A&M. Unbeknownst to my parents, a group of college buddies and I decided that our unwavering dedication to higher education warranted a break. Countless hours pounding the books and pounding the beer had taken its toll on us mentally and physically. Our overall well-being was definitely in question. Without a little relief, god only knows what errant path we might choose. 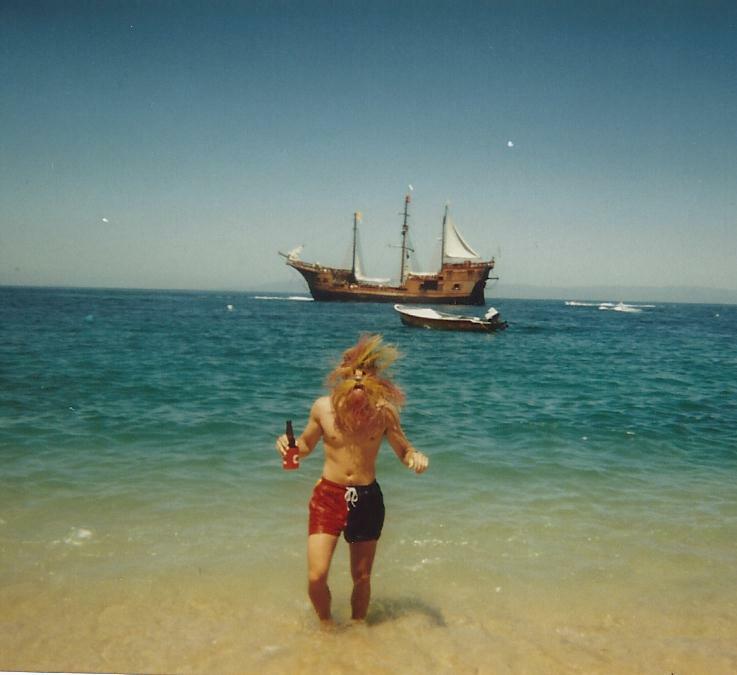 As Spring Breaks go, our trip to Puerto Vallarta was legendary. A week filled full Mexican debauchery. A week of drinking a lot of beer, chasing a lot of women and of course, a lot of BC Headache Powder. But as they say, “What happens in Mexico, stays in Mexico”. Trust me, I would love to tell you about my buddies hooking up with some high school hotties from Dallas, but that would violate their trust. And oh how I long to discuss someone’s attempt to scale the facade of our hotel, but that would infringe upon our vow of silence. And the stories I could tell from our trip to the Mexican bordello; well, that just wouldn’t be appropriate. So, in an effort to save a few marriages and to allow certain individuals to maintain a level of self-respect, I will abstain. However, one thing I can share is a little out-of-the-way beer shack we found just south of town. Arturo de Inigo Montoya Valdez and his wife Pam owned a small hut on Playa de Mismaloya. At first glance, it appeared to be an old, rundown beach bar. The kind of place us gringos ought not to frequent unless we have a cast iron stomach and/or a good role of toilet paper. Well as most things go, looks can be deceiving. Arturo’s was no rundown bar; no, Arturo’s was a true diamond in the rough. This small, unassuming hut served the coldest beer that has ever touched my lips and food, well nothing short of spectacular. I will admit that the origins of the meat served may be a little suspect. But regardless of whether it was found in the back alleys of the town or raised on the hillside farm overlooking next door, you could be assured it was going to be good. One dish that stands out in my mind was the grilled pork. Sliced thin and cooked over an open flame, this pork was muy bien. Because I know very little Spanish, I was never able to get the recipe. But with advent of the internet and a vivid memory of the flavors, I have created my Twisted version of Arturo’s Tacos al Pastor. In a 4 Qt plastic container, add hot water, salt, brown sugar, thyme, pineapple and bay leaves. Stir until salt and sugar dissolve. Add cold water and tenderloins. Refrigerate 4 to 6 hours. Preheat grill to medium-high heat. Pull tenderloins out of the brine and rinse with cold water. Pat tenderloins dry with paper towel and season them liberally with Mack Mediterranean Seasoning. Next, brush grill with canola oil and place tenderloins on the grill. Grill for 4 to 6 minutes per side, basting the tenderloin with Prickly Pear Beer B Que Sauce after each turn. Once meat has reached an internal temperature of approximately 145 degrees F (medium-rare)*, pull meat off the grill and allow to rest for about 5 minutes. 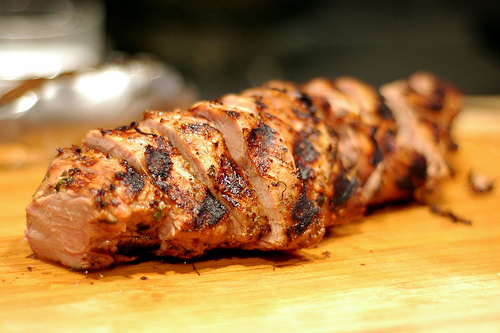 To serve, thinly slice pork tenderloin and place in a warm corn tortilla. Top with Jicama Slaw and Prickly Pear Beer B Que Sauce. Combine all ingredients in a large bowl and season with salt and pepper. Twisted Epilogue: In several buddies’ defense, the high school girls initially said they were in college and their fake ids stated that they were old enough to drink. It came as quite a shock to some, when later in the trip we got to know them a little better and they admitted to being high school. Thinking back, I am not sure if we ever determine that they were actually old enough to drive? But for those involved, let’s just assume they were. This entry was posted on Tuesday, June 7th, 2011 at 9:36 pm	and tagged with Mack Mediterranean Seasoning, Mexican, Pineapple, Pineapple Brine, Pork, Pork Tacos, Pork Tenderloin, Prickly Pear Beer B Que Sauce, Tacos, Tacos al Pastor, Tex-Mex and posted in BBQ, Main Dishes, TexMex. You can follow any responses to this entry through the RSS 2.0 feed.